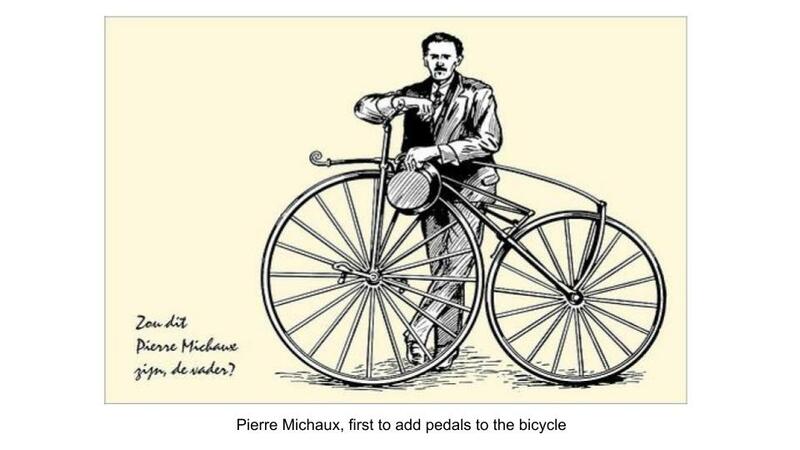 The next development in the bicycle was the addition of pedals which was first done in Paris by a French blacksmith Pierre Michaux in the early 1860’s. Riding a “bone shaker”, a name given to these early machines, was best accomplished on the smooth indoor surfaces that these riding school arenas could provide. 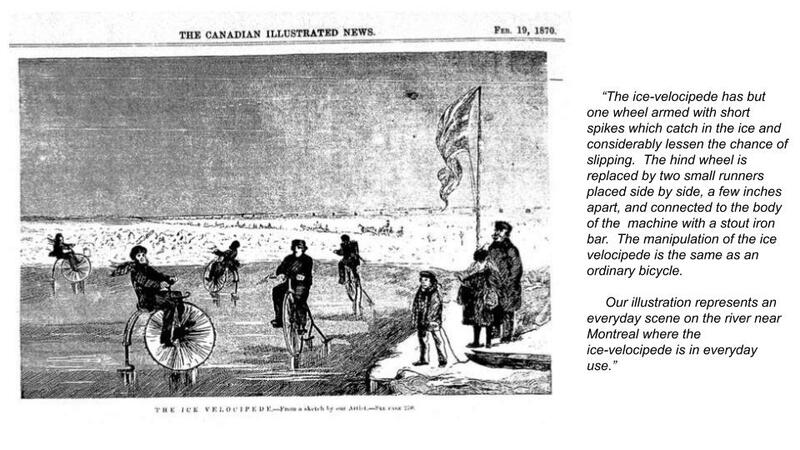 During Montreal winters, when the St Lawrence froze solid, there was another opportunity to ride as shown in Canadian Illustrated News, 1870. 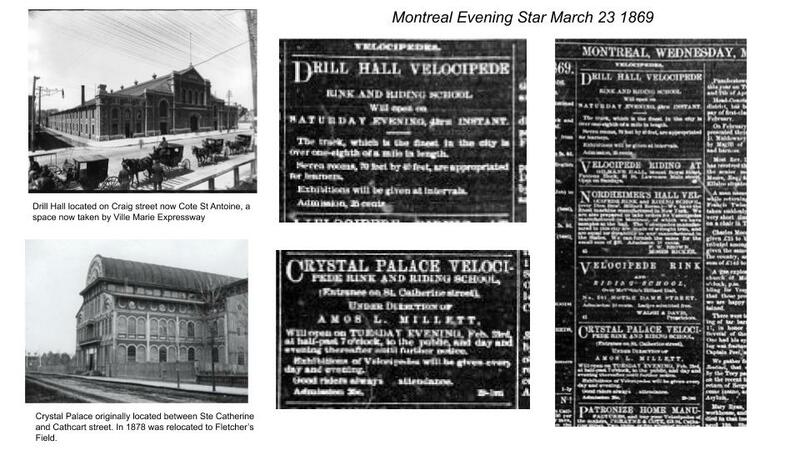 The Velocipede was still a heavy, slow, machine barely faster than walking. In order to improve it what was needed was a way to build stronger, lighter wheels.